I'm back to share a card from the Kennedy Grace Creations New Release! 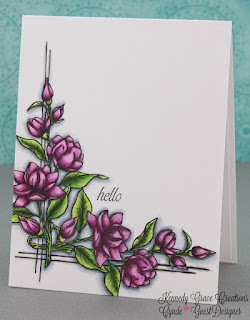 The stamp set I used today is the Time To Blossom Stamp Set. I really enjoyed the simplicity of this set. You could totally heat emboss this and do some fabulous watercoloring, but Copic's seems to be the way to go for me lately so that's what I did. I started by stamping the image twice on my card panel. The only masking I did was a tiny bit on the stem. The name of the game was to keep this super simple folks. As I said, I colored the images with Copic's. Another thing I enjoy about the Time To Blossom Stamp Set is that you could choose any colors you wanted. I chose red-violets and yellow-greens, but seriously peeps, whatever floats your boat and it will looks great! 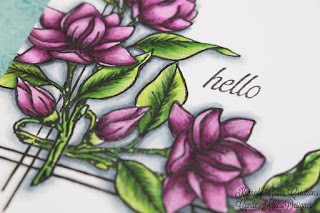 To finish off my card, I used a added a couple of hand drawn lines to the background and I stamped a portion of a stamp that is also in the Time To Blossom Stamp Set. Thanks so much for stopping by to see me and as always I hope you enjoyed my card today! 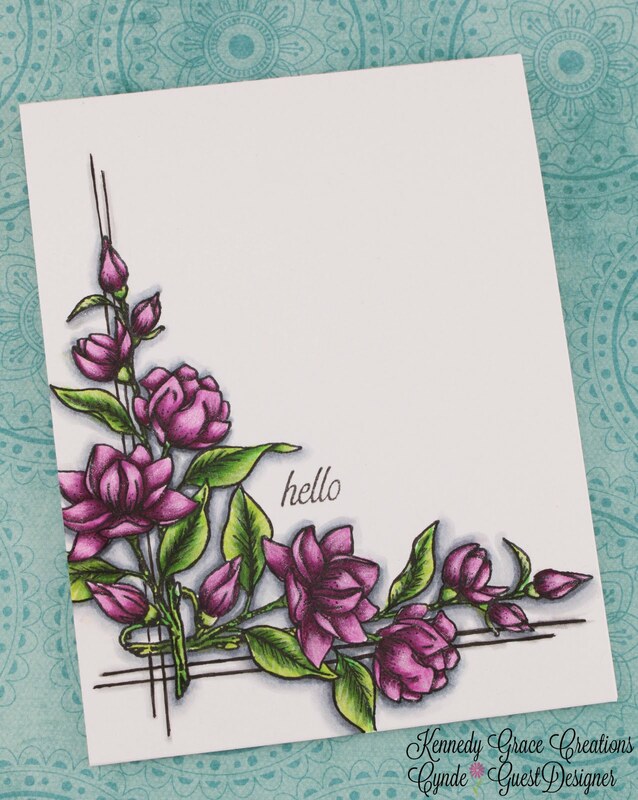 beautiful card - and the hand drawn lines are the perfect accent for the gorgeous flowers. Wow! Such a lovely amd beautiful one layer card! Fabulous coloring work! Absolutely gorgeous! Your colouring looks amazing! 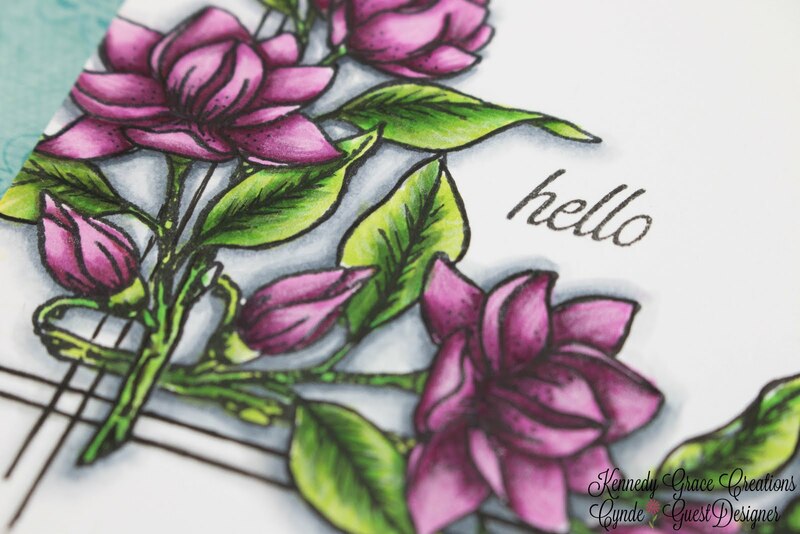 Beautiful stamps!